As auto manufacturers move to more sophisticated computerized steering wheel control systems, there is a risk that programming and manufacturing defects will cause these systems to malfunction, causing accidents involving serious injuries and fatalities. 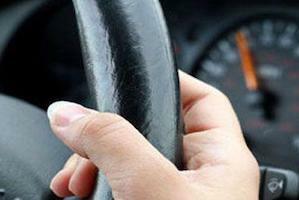 Injured Due to a Defective Steering Wheel? At the San Jose law firm of Corsiglia McMahon & Allard, L.L.P., our Bay Area steering wheel defect attorneys represent drivers and passengers who have been injured by auto defects. Contact us today for a free consultation; call us at (408) 289-1417. You will not pay any fees unless we help you win your case. Notable Related Case: $425,000 against a major automobile manufacturer on behalf of a little girl who sustained a head injury as a result of what was alleged to be negligent design of the rear compartment of a small coupe. Computer error is just one of the factors that can contribute to steering wheel defects. Suspension problems can also cause drivers to lose control of their steering. Whatever the cause, auto manufacturers have a legal responsibility to avoid defect-related accidents. Manufacturers can be held accountable when they do not adequately inspect vehicles that they are putting on the market or when they delay a recall after learning of a problem. In some cases, it is even possible for accident victims to win personal injury claims after a recall if they were not given enough notice. The experienced trial lawyers at our firm will carefully evaluate the facts of your case to determine whether you have an auto defect claim. Our auto defect attorneys have a strong reputation in northern California and nationwide as dedicated advocates for negligently injured clients. If you have been injured due to a failure of power steering or any other steering wheel defect, don’t hesitate to contact us; call (408) 289-1417. Our clients are located in San Jose, Palo Alto, Santa Cruz, Milpitas, Sunnyvale and other Northern California cities.